The engineers behind the brilliant GT86/FR-S were so enthusiastic about the project they even dreamed of additional platform variants. 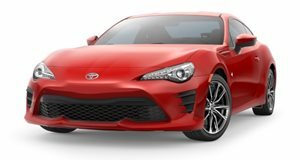 There’s no question that the Toyota GT86/Scion FR-S has been a major hit for the Japanese automaker in terms of engineering and overall coolness. As the car was being developed by Toyota’s engineering team, participants were reportedly so enthused by the exciting project they got to thinking about how it could be expanded.Toyota UK blog is claiming that those engineers envisioned producing an entire family of vehicles based of the GT86’s rear-wheel-drive platform.In fact, chief project engineer Tetsuya Tada was and still is pushing the Toyota brass to make that idea a reality. Tada stated that "Actually we tried to do this secretly but the executives found us out. They said: 'What are you doing? Will you please focus on the coupe.'" So what were those GT86 platform offsprings? Tada mentioned a four-door sedan and a shooting brake in addition to the convertible. The reason for potentially doing those variants was the need to spread the cost of development across several models. But now that Toyota has a deal with BMW to develop a new sports car, who knows what the future holds for the brilliant sports car.